Family Tanya Ewing-Finchem (Wife), and four grown children. Education AAS in Criminal Justice, Kalamazoo Valley Community College (1984), Six Sigma Certification, 2006, BA Government Administration, Emphasis on State & Local Policy (2019). I have been blessed with a broad range of work experience during my 45-years of employment including positions in both the public and private sectors, I have worked for small organizations and multi-billion market cap corporations. This broad spectrum of experiences gives me an appreciation and empathy for every single constituent. From early in my public safety career I learned I have a heart built for service, and a mind for mission achievement. Over the last four years in the Arizona Legislature I have demonstrated sound judgement by voting to put in place a structurally balanced budget, pay down debt, and pursue regulation reduction as well as economic development policies. They are working, without exception, the constituents I have spoken with are better off today than they were 4 years ago. I do, and I did when it was first proposed. It is a pathway to providing a viable, long term increase to K-12 education funding, but to be accurate, the Legislature does not hire, fire or pay teachers, school districts do. Whether or not teachers see a pay increase, and to what degree they will see more money in the pocket, will be entirely up to local school boards. The truth is, funding has already been restored to pre-recession funding levels, 20by2020 was a factor in that. More importantly, we have a simple math problem that nobody wants to face. The federal government has been siphoning off money from what should be our tax base and sending it to Washington D.C. to fund the largesse of a belated federal bureaucracy. 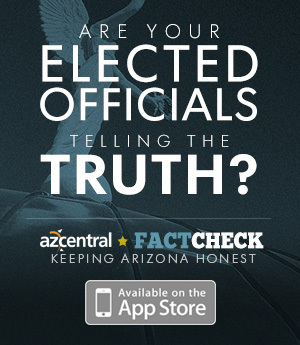 Arizona is treated like a territory, with our tax base controlled by Congress not the Legislature as we were promised. If we want to get serious about solving the lack of funding, we need to demand that revenue generated on federal lands in Arizona, stays in Arizona. Family Married and care for my 90-year-old mother. Yes, but it is not enough. First of all, it is only a promise beyond 2019 as the AZ Legislature must approve the budget for subsequent years. Secondly, it did not include pay increases for other school staff also important to student achievement. Thirdly, even with the #20X2020 increase, Arizona’s public schools are still receiving over $800 million less per year than they were in 2008 while the state’s population grew about 15 percent. In a December 2016 poll of Arizona voters, 77 percent indicated the state should spend more money on schools and 61 percent said they would support a tax increase to do it. Despite this clear message from voters, the AZ Legislature has dropped corporate income taxes from 9.7% of the general fund in 2007, to 4.9% in 2017 thereby significantly reducing state revenue. There are however, many reasonable steps we can take to more closely align the use of taxpayer dollars with taxpayer and voter priorities. Here are a few: Have a bipartisan panel review and recommend roll back on corporate tax cuts, i.e., subsidies, that are not providing return on investment. Promote the production of renewable energy and levy an excise tax on electric generation. Cap or roll back school tax credits. Yes, except I am not certain about raising the minimum age to 21. After all, people can join the military when they are 18 years old. They may live independently, and have families of their own. I served in the Air Force for 26 years and was trained on military weapons qualifying as an expert marksman. I believe in Americans’ right to bear arms as guaranteed by the 2nd Amendment. However, even conservative Justice Antonin Scalia wrote, “like most rights, the right secured by the Second Amendment is not unlimited...” It is “not a right to keep and carry any weapon whatsoever in any manner whatsoever and for whatever purpose.” The important thing is to ensure guns don’t get into the hands of dangerous people. To that end, I support: Requiring 100% universal background checks A ban on high-capacity magazines Making mental health help more accessible, especially in schools. Lower class sizes, more counselors, and more resources for mental health support would be a good start, as would implementing the 100% universal background checks, a ban on high-capacity magazines, and making mental health help more accessible in general. As with many problems facing our schools, our communities and our country, prevention of these mass shootings would be more effective and less expensive than dealing with the horrific tragedies after they occur. Although I do not support arming our teachers or creating fortresses out of our schools, there are steps we can take to ensure we do more to keep our students safe. Our school districts are working to shore up their defenses, but many of the fixes require significant funding. Determining what level of vulnerability we are willing to accept compared to the amount of funding that can be resourced, is the job of the Legislature. Yes, but with serious reservations. We incarcerate too many people in our state and our country, for relatively minor drug crimes. I don’t believe legalizing more mind-altering substances will necessarily contribute to healthier and happier communities. I would want to study this issue more prior to making a definitive decision. No. Roe vs. Wade is and should be the law of the land. Women should be able to freely exercise their rights to make their own health care decisions. I also support families having access to good information about family planning. This includes ensuring both women and men have access to birth control in health care plans and that families have support as needed both before, and after, babies are born to give children the opportunity to be healthy, productive citizens. My tendency is to minimize Legislative involvement as much as possible, while creating the framework and incentives that allow localities and counties to collaborate and self-regulate their planning and execution. Where needed, the Legislature should create or strengthen mechanisms for Arizona to be fully engaged and active with the Western States Water Council and other regional planning cooperatives. All stakeholders must have a seat at the table and Arizona must speak with one voice in the region. Yes. Businesses are licensed by the state and therefore have a responsibility to serve all the citizens of the state. It is no more appropriate to discriminate against LGBTQ people in this way than it was once to ban people of color from restaurants and other public places. We must invest in public education and modern infrastructure which provides quality companies what they need to grow and thrive. These companies need high-quality public schools that provide them an educated, nimble-thinking workforce as well as good educational options for their employees’ children. They also need modern infrastructure (good roads, transportation hubs, etc. ), that allow them to conduct commerce and move their products effectively and efficiently. We also must ensure that our community businesses are given the support they need in terms of reducing regulatory barriers to starting up and growing. These businesses are the job growers and lifeblood of our communities. I support repeal of the 2017 ESA/voucher expansion and therefore advocate a “NO” vote on Proposition 305. Hold Congress accountable for doing their job in coordination with other border states. I don’t know how pervasive this problem is, but applaud the actions taken by the AZ Speaker of the House, Representative Mesnard. He took the complaints seriously, asked for an investigation, and made the findings public. I would also like to see the establishment of an ethics committee in the AZ House. The voter suppression pursued by this, and recent Legislatures, is unacceptable. We should be doing all we can to encourage our citizens to be active in their democracy, not afraid of, or indifferent to, it. We should make it easy for citizens to vote. A lack of fiscal responsibility. I would address it by 1) requiring full accountability and transparency and a reasonable return on investment for the expenditure of taxpayer dollars or the granting of a loophole to avoid paying them. 2) Ethics legislation to ensure the people’s priorities are what drive the Legislature’s efforts and spending, not self-dealing or special interests. Yes; this funding would not only have helped cut wait lists for child care for low income families, but also helped with early childhood education for these children. DES reimbursement rates for child care haven’t changed since 2000, when the minimum wage was half of what it is now. To make matters worse, DES only reimburses 75% of the going rate in 2000, yes - one of the lowest rates in the country. Therefore, providers are disincentivized to accept children from low income families who pay with a state subsidy that falls significantly short of operating costs. It should be no surprise that the state lost 788 providers Jan 2016 to Jul 2018, with 174 facilities closing entirely. The bottom line is that Arizona’s children count on adults to provide for them and we should welcome Federal assistance (partially contributed by our residents and businesses), and work together to ensure working families can continue being productive while providing for their families. Many of these families can’t afford to suddenly take in relatives, but step up despite the hardship it causes. We should streamline foster home licensing for kinship families since kinship placements have been shown to be more stable and less traumatic for children than foster care provided by strangers. Research shows children in kinship placements have higher graduation rates and lower teen pregnancy rates than national averages for foster children. This is significant in Arizona where kinship caregivers provide homes to approximately 7,000 foster children. With an estimated $74 million required to pay Arizona’s kinship caregivers the same as foster parents, the program wouldn’t come cheap, but some Federal matching funds are available. Our Legislature has the responsibility and civic/moral obligation to do what needs to be done to ensure these children can be cared for in stable family settings that afford them the opportunity to grow and thrive. Family Marcela is a daughter of immigrants that is married to a Marine Veteran. She's a proud mother of two adult children and a ten year old. She's also guardian to her special needs sister who also lives with her and her family in Maricopa. I'm the best person for this job because I have the unique experience of having worked in education for 16 years. I have also taught religious education in my parish and volunteered as a club sponsor, coach, and local food banks. I am a true representation of the average person doing above average work in my legislative district. I do support it because I see what the state budget cuts have done to education. I think this is a start in the right direction towards fully funding education with a sustainable source of revenue. I would like to analyze what the budget looked like pre recession and start making moves to get our taxes back to the way they were. I do not think there has been enough transparency for charter schools. I have worked for charter organizations and have seen the good and bad of charters. Charter schools should have the same requirements as public schools and report all financial records, as well as provide transportation for students. I would support firearm laws that include gun registration and background checks. Arizona should invest in counselors at the K-12 level and increase funding for vocational or agricultural programs that give students career options. Until Arizona no longer has a revenue problem, I would not support tax cuts unless they are aimed at small businesses with 15 or less employees. No, marijuana recreational use. Marijuana is very difficult to prosecute when caught driving under the influence. Arizona has three planned parenthood clinics. I think the right approach is being taken. Arizona should be looking to conserve as much water as possible in the existing water tables. Additionally, Arizona should be looking for clean energy resources to use to barter with, with other states. Arizona has sun year round and should be using it as a clean energy resource. I would not support legislation that discriminates in any way for any human being. I would not support legislation that allows business owners in healthcare and public services to deny customers services for any reason. The Arizona Legislature can directly affect positive change and sustainable growth that benefits people of all income levels by investing in vocational programs where individuals can walk away with the skills necessary to work. I will not support ESA/voucher expansions. Arizona should be able to influence how people are treated. People should be treated humanly and with dignity. I think most organizations have work to do to educate their members to understand sexual harassment. The issue is not having enough skilled workers to take over as more and more adults are nearing their retirement age. The greatest threat to Arizona's future is an under skilled work force. Secondary school programs should have more vocational programs to make sure we have enough licensed electricians, welders, CDL drivers, plumbers, or any skilled trade we currently see shortages in.